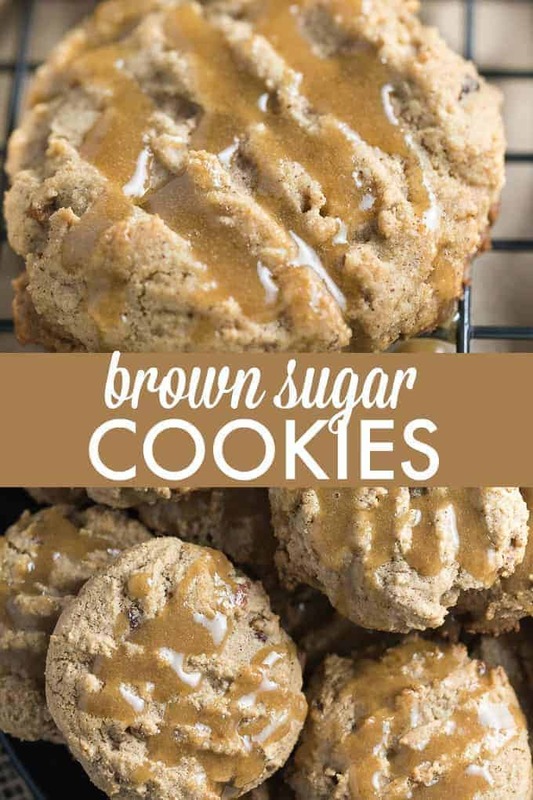 You may have made sugar cookies for the holidays, but have you ever tried Brown Sugar Cookies? I think I might like these ones better! They are soft and chewy and bursting with rich and sweet flavour. Plus, they are really easy to make and only take about 9 minutes to bake. I made a bunch and froze some of them to enjoy over Christmas. I added a brown sugar glaze made with powdered sugar, brown sugar and milk. It gives them a nice glossy finish and adds a little extra sweetness to each bite. Once you try them, they may become a favourite of yours too! You might also like these Whipped Shortbread Cookies or Lemon Coconut Macaroon Cookies. 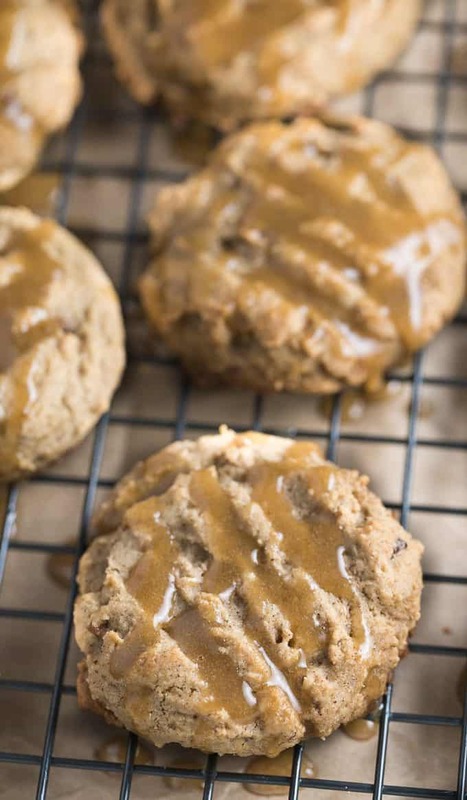 Check out these Holiday Baking Must-Haves. 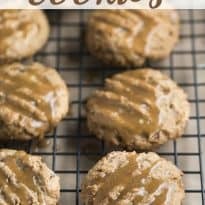 Are you making any cookies over the holidays? Try something different this holiday season with this easy recipe! These cookies went fast at my house. Preheat oven to 375F. Spray a baking sheet with cooking spray. In a large mixing bowl, add brown sugar, water, honey and egg. Beat on high until combined. In another large mixing bowl, stir together flour, pecans, cinnamon, allspice and baking soda. Add dry mixture to wet mixture and stir to just combined. 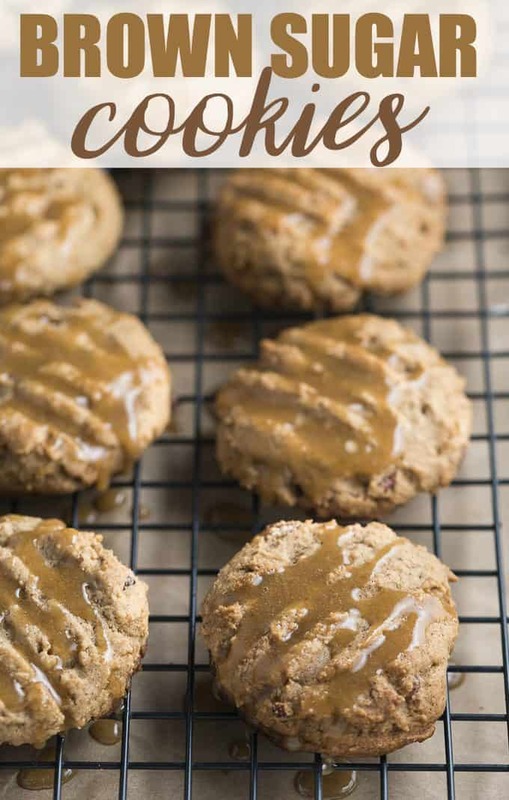 Drop cookies by the teaspoonful onto prepared baking sheet. Bake for 9 to 10 minutes. Place cookies on baking rack to cool. In a small mixing bowl, stir together brown sugar, milk and powdered sugar. Drizzle on top of cooled cookies.